When you’re the owner of a company, you have a lot of numbers to keep up with. Payroll and payroll taxes, sales tax, and multiple bank account reconciliation are just a few of the many tasks that can drown you in paperwork as you struggle with a calculator. Our team of Certified Public Accountants allows you to make better use of your time by leaving all of the complicated financial matters to us. We specialize in bookkeeping solutions for individuals and companies and can take all of those worries off your hands at a reasonable price you’ll appreciate. You don’t have to own a business to benefit from our expertise. We work with individuals that seek our services for a variety of reasons. Some individuals need help because they want to pay down debt; while others turn to us because they don’t have the time to track their money. You’ll be pleasantly surprised at how much your financial situation changes for the better when you hire our bookkeepers. Clients come from all over the country to save money and time with our professional services that are unparalleled in their attention to detail. Our high-quality bookkeeping services and modest prices have earned us the trust and respect of many area businesses and individuals, and we’re proud of that. Many businesses and individuals remain intensely loyal to our firm year after year, thanks to our exemplary and affordable customer service. Our clients are confident that when they come to us, they can rest easy knowing their numbers are and will always be 100% accurate. 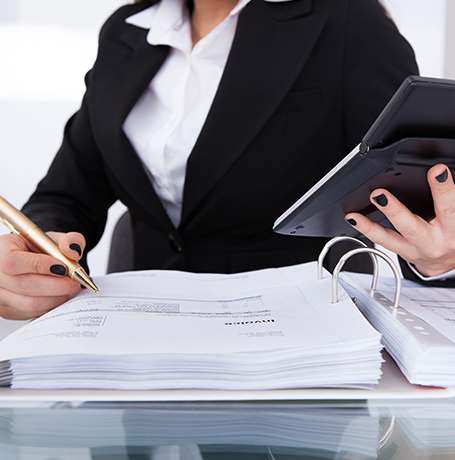 From reconciling bank accounts to filing payroll forms, there is no bookkeeping job too big for our experts. The bigger your business grows, the harder it becomes to manage everything by yourself. Our accountants are prepared to grow with you and your company, adjusting our services accordingly. Whether you’ve only got a handful of employees or several dozen, we stick to accurate results and staying within budget. We also use the latest and newest accounting software so you get the benefits of technology without having to learn it. If you are not familiar with how something works, our bookkeepers can answer all your questions in layman’s terms. Keeping in compliance with financial laws, especially regarding payroll, is crucial to your company’s reputation. Even minor errors can end up costing a lot in fees. Our bookkeepers are up-to-date on all of the current payroll and bookkeeping laws, eliminating the need for you to provide your staff with constant training. We stay on top of all federal and state tax laws and ensure that your business follows them to the letter. The IRS won’t have any reason to come after you or your company when you’ve got us on your side. You might be on board with our bookkeeping solutions, but worried about the cost. Rest assured, we are here to save you money in every way possible. That’s why we are committed to charging fair prices that never overextend your budget and are set at numbers you can afford. An accurate set of books makes you a better company and a more informed business person, and you shouldn’t have to pay beyond your means for those benefits. Let us take charge of all your bookkeeping tasks and enjoy the tremendous difference our services make for you and your employees. All of our services are tailored to your needs and the needs of your business. If you’re worried about conserving cost, just let us know what your budget and situation are like and we’ll be happy to work with you. Our team is dedicated to finding a solution that works for you and your business. Contact us today for bookkeeping services you need at prices you can afford. We are proud to serve St. Louis, St. Charles, St. Peters, O'Fallon, Wentzville, MO,and the surrounding communities.